It was already a bad night for Amilcar Correa's Winston-Salem Spirits and Correa couldn't stop it from getting worse. Peninsula hitter Bubba Smith had already hit two home runs on the night off other pitchers. Correa, pitching in the sixth, gave up Smith's third on the night, according to The Newport News Daily Press. For Correa, it was one of five home runs he would give up that year for Winston-Salem. It was also one of the last home runs he would give up in his career. Correa's career began in 1989, taken by the Cubs in the 39th round of the draft, out of his native Puerto Rico. With the Cubs, Correa started at rookie Wytheville, getting 16 outings, two starts. He picked up three wins and a save, posting a 5.22 ERA. For 1990, Correa moved to short-season Geneva, getting 21 outings, one start. He also dropped his ERA to 2.05. 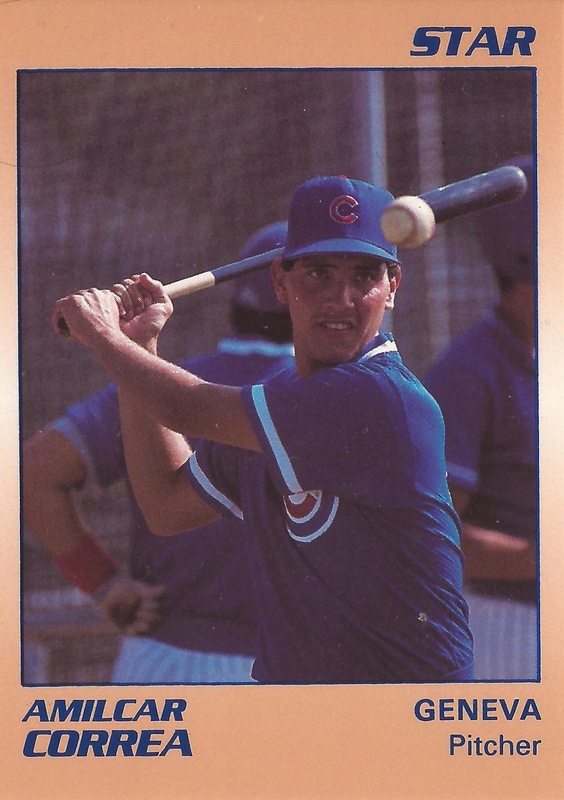 Correa made single-A Peoria in 1991. Over the full season, Correa appeared in 39 games, with one start, picking up five wins and two saves. 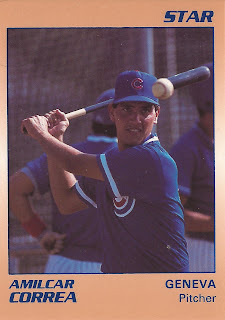 Correa then made high-A Winston-Salem in 1992, but it turned out to be his final season as a pro. In 34 relief outings, he had an ERA of 4.08, ending his career.